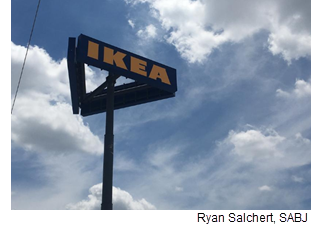 ​​​​​ LIVE OAK – IKEA's newest Texas store will hold its grand opening Feb. 13, 2019. The 289,000-sf store will anchor the 760,000-sf Live Oak Town Center off I-35. It will feature nearly 10,000 exclusively designed items, multiple room settings, three model home interiors, a supervised children’s play area, and a restaurant. More than 500 jobs were created during construction. About 250 employees will work at the new store.